Alcatel-Lucent was a top manufacturer of digital multiplexers and other networking equipment for many decades, but the company’s split has sent a wide range of equipment to different companies and led to many units falling out of service protections. One unit that is no longer continuously manufactured but is in high demand is the Alcatel-Lucent DDM-1000 Digital Multiplexer. Different models and deployments can combine and manage a wide range of signal sources and digital inputs, giving you control in the core and edge of your network. With a simple arrangement of two muldems that share high-speed interfaces, controllers and power, you have a cost-effective multiplexer. Each muldem is independent of the other so you can manage high-speed networks and a variety of economical optical systems. We are proud to offer refurbished and used Alcatel-Lucent DDM-1000 multiplexers that have been brought up to OEM standards and initial quality. Our engineers are certified and capable of managing and repairing a wide range of used Alcatel-Lucent DDM-1000 as well as other networking equipment. By partnering with us, you’ll get access to 24/7/365 support that can diagnose problems, get you the right parts quickly and has access to teams that can come onsite if you need specific assistance. We also offer our own leading maintenance programs to inject reliability into any network. 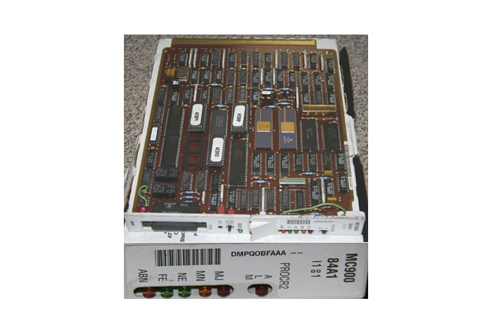 We specialize in end-of-life equipment because most items, like used Alcatel-Lucent DDM-1000s, can work for many more years than the original warranty protects. Let us keep your network running smoothly and help you save by keeping your equipment in top condition or upgrading to what you need with refurbished models and proven reliability.